The Adidas Hex dumbbells weigh 2.5kg (5.5lbs) and offer an anti-roll design for added safety and greater workout versatility. These premium quality dumbbells feature an ‘old school’ design and are perfect for frequent strength building workouts. They are constructed of iron for enhanced durability and have a machine knurled grip. In addition, the handle and disc are welded for a strong and solid ‘one piece’ design. 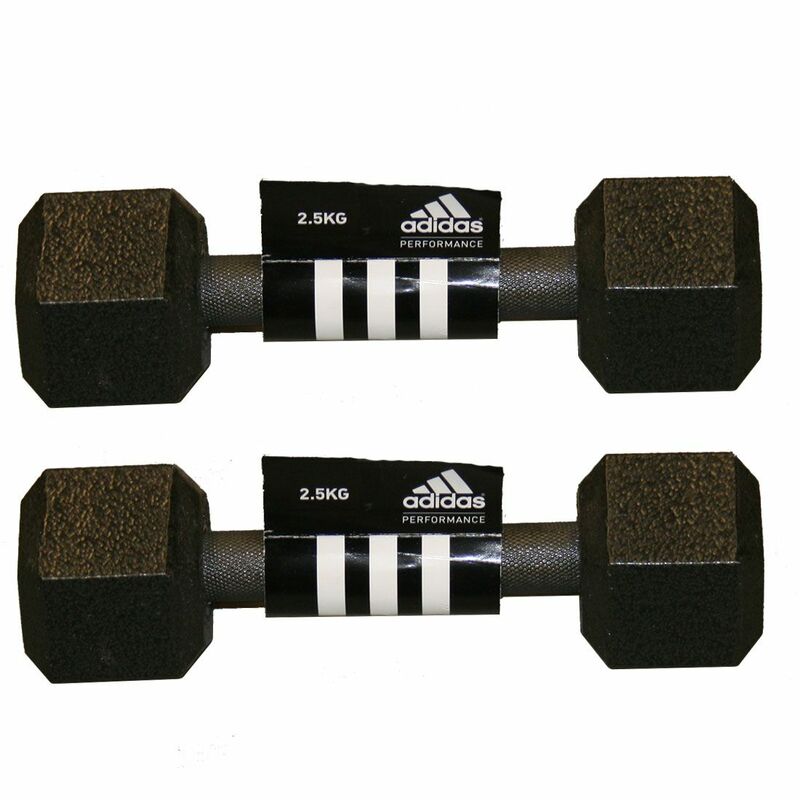 The dumbbells are sold as a pair. 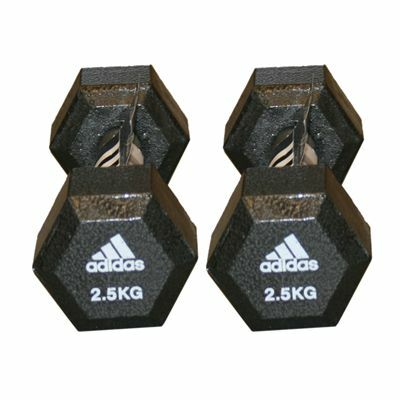 for submitting product review about Adidas 2 x 2.5kg Hex Dumbbells.